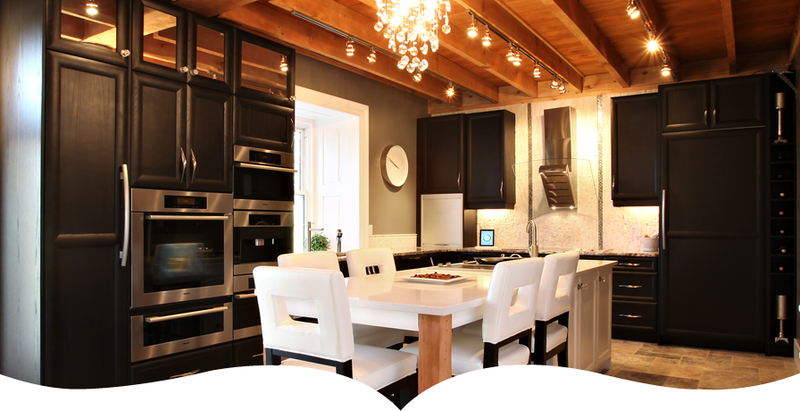 Kitchen renovations for luxury homes in Mississauga are exciting projects. Mississauga is a city of beautiful communities with a wide variety of luxury homes of different styles. Each kitchen renovation in Mississauga has its own unique elements that makes designing each always different. Anderson Balfour is a team of award-winning kitchen designers who have a beautiful showroom in Port Credit, Mississauga. Anderson Balfour Kitchen Design creates beautiful luxury custom kitchens as well as the other important spaces in your home. All projects, big or small, go through the same design process. We are always excited for the opportunities to work on projects in homes and cottages throughout Ontario. The kitchen is such and important part of the home. The kitchen is where families spend valuable time together enjoying life and creating memories. ANDERSON BALFOUR KITCHEN DESIGN INC. transforms your wishes for a custom luxury kitchen into realities. Planning a home renovation should be an enjoyable process. Brenda Anderson and Andrea Balfour have re-invented many luxury Mississauga kitchens, bathrooms, home offices, laundry rooms, libraries, and dressing rooms over their combined 40 years of experience in this industry. Whether you are looking for an open concept kitchen or something more traditional, ANDERSON BALFOUR KITCHEN DESIGN INC. can design what works best for your home and family. We might review the options for removing walls or relocate door openings to create space and more light. As dog lovers, we often create a nice cozy place for the family pup to nap in the design of a new kitchen. We will discuss flooring, electrical plans, cabinetry and counters, and also appliances that would work best in your space. Many people are first time kitchen renovators. Our experience in providing a high-level service gives our clients peace of mind. They receive the service of our network of the very best tradesmen and installers. We work very hard to make sure our clients have an excellent experience while working through their transformation. It’s great to see happy faces when our clients talk about their new kitchen and other rooms we have renovated in their home. We look forward to connecting with you and can’t wait to hear your ideas and plans for your luxurious home in Mississauga. Please visit our main website to view our gallery! Our commitment is to give you an exceptional design experience.